If there was ever a reason to believe in fate, then Chris Buck and Sally Ann Evans forming for a ‘one off’ gig is proof enough that good things happen for a reason. With the addition of Dominic Hill and Bob Richards completing the four piece soon after, Buck & Evans were formed. 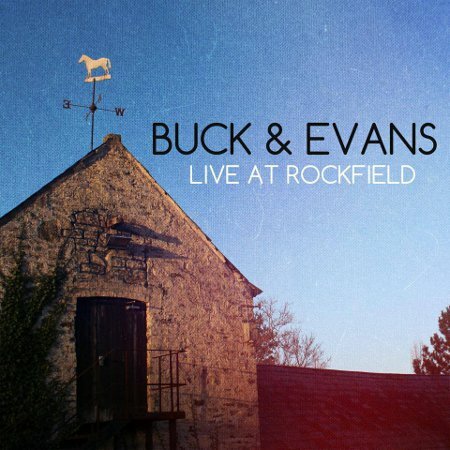 The EP ‘Live At Rockfield’ wonderfully encapsulates the vibrant sound the band have live, having had the pleasure of seeing them play when they were out on the road in April, and this 3 track EP gives an insight into why Buck & Evans are garnering a lot of praise for their style of music. ‘Impossible’ is bluesy but also has a soulful sound as the lush vocals of Sally Ann power their way through the track and the guitars of Chris match this intricately as the notes swoop and soar behind the rhythm. The guitars on ‘Ain’t No Moonlight’ are also a winning combination as this manages to bring an emotive feeling to track and has the ability to sound both delicate and immense at the same time. As the quite simply stunning vocals engulf you, the contrast between an almost funky vibe to a sublimely exquisite sound with the different tempos makes it refreshing to hear. ‘Screaming’ is the more of a rock/blues style and wow do they do this well. Strong, with a sound that raises the hairs due to its delicious guitar hooks, deep-set rhythm and the incredible vocal performance, this is a track of light and shade, power and depth. With only 3 tracks, this seems all too brief and leaves you wanting to hear a lot more of Buck & Evans, but it is an impressive collection that showcases just how majorly talented they are. Make no mistake about it, this is band who are destined for success.